Karen Kamensek conducts a revival of Phelim McDermott's Olivier Award-winning 2016 production of Philip Glass's opera set in ancient Egypt. Book in for "an evening of high seriousness, luxuriant in hieratic beauty, musical prowess and, at times, astonishing theatre" - The Guardian. It matters little that it's sung in Egyptian, Hebrew and Akkadian with no surtitles - "so suggestive is the music and production, the meaning is always clear" (Culture Whisper). What are the best dining options near English National Opera: Akhnaten London? 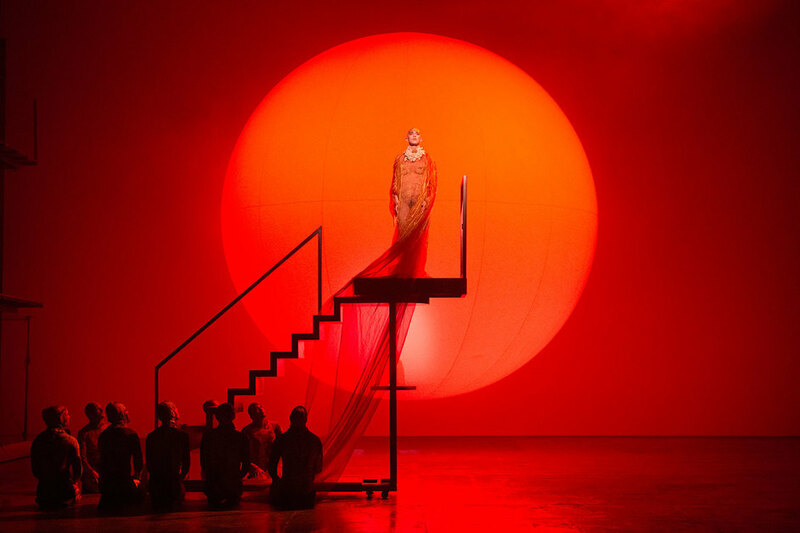 English National Opera: Akhnaten gyms, sporting activities, health & beauty and fitness. The best pubs near London English National Opera: Akhnaten. English National Opera: Akhnaten clubs, bars, cabaret nights, casinos and interesting nightlife. Where to have your meeting, conference, exhibition, private dining or training course near English National Opera: Akhnaten. From cheap budget accommodation to luxury 5 star suites see our discounts for London Coliseum - English National Opera (ENO) hotels, including Radisson Blu Edwardian Hampshire Hotel from 89% off.